Successful musicians from around the world have noted that their parents’ encouragement and love of music to be the most important element in sparking their interest in music. 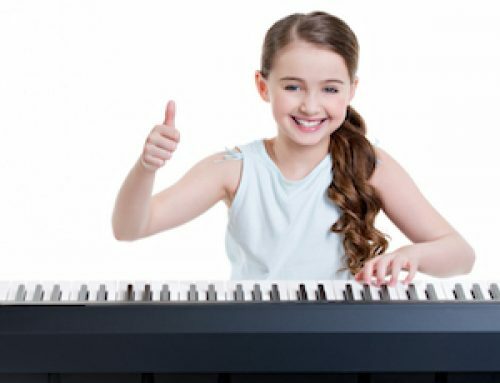 Whether or not your child has a career in music, your endeavors in bringing music into their lives will make his or her life happier and more enriched. Here are some tips for having music be an enjoyable experience for you and your child. How do you make music part of your life? 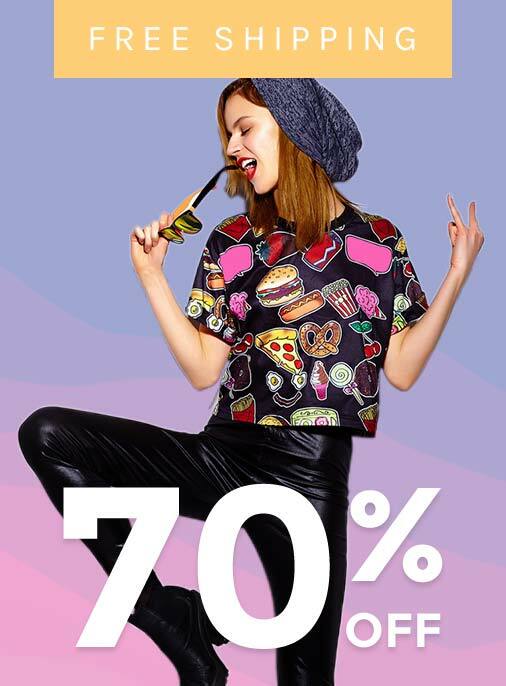 Your family can see what types of music you gravitate to. Actively show your children that you value music in your life. Discuss with your teacher what kind of involvement is best for your child. Don’t only ask your child what they did during the lesson, ask the teacher too. Another easy way to be involved is to read your child’s lesson plan and then ask them what certain things mean or to demonstrate something. Usually it is recommended that a parent remains nearby for beginners for encouragement, and junior high and high school given more privacy during practicing. Consistent, regularly scheduled times are greatly recommended. Inconsistent practice times lead to inconsistent practicing. Try to remain on schedule yourself to facilitate manageable after-school tasks. A healthy music environment includes many things. Keep your piano tuned (twice a year). Keep the piano or keyboard away from distractions (preferably in a room without a television or computer). Keep practice time free of others disrupting that time. Lighting is very important – it truly makes a difference in practicing and playing. Overhead lights do not provide ample lighting for sheet music – it is recommended to use a lamp that shines directly on the music. Extra-heavy headphones for keyboards can be wearisome after only a short while – make sure they are light and are of a good quality. You can always ask your child to play for others, but never force them to when they don’t want to. You can try to convince them that they just played it beautifully yesterday, so why not try now? Maybe you can convince them to do a line or two. Otherwise, never force them. If you hear during a practice session that they are frustrated, encourage them to keep trying or to move on to another piece, and not give up. You can also always call the studio to ask a question – you don’t have to wait until the next lesson. Provide opportunities to see performances that they would enjoy. Use discretion in choosing performances they would enjoy – ask your teacher. Expose to various styles – orchestra, chamber music, ballets, Broadway, jazz clubs, open-mike shows, etc. Another way to provide exposure is to help your child build a CD collection. Typically classical and jazz CDs are less expensive than popular. Then take time to listen to the CDs (more than once) with them. This is one of the best lessons you can learn with music: it takes work, effort, and time to get better. 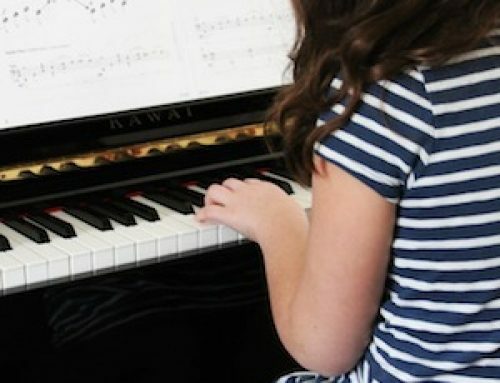 The idea of patience with music and oneself is very important to everyone, and piano provides one of the best opportunities for you to teach these ideas. 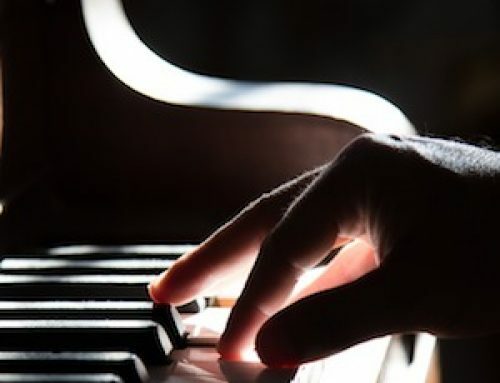 Patience, persistence, and determination are all important with whatever you do in life, and these are exactly the things that music demands of every student. Stay in close communication with your teacher, your child, and the studio. It is recommended to stop in at every lesson to get a 30 second update from your teacher (before and after each lesson). Phone calls and email are greatly recommended, too. If it was a difficult week at home, please tell us so we can help in any way we can. We love to hear about happy and exciting things too. 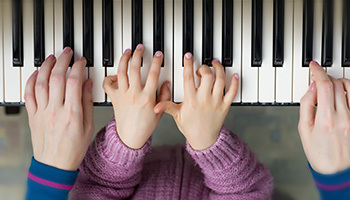 Communication is a key to successful piano lessons.